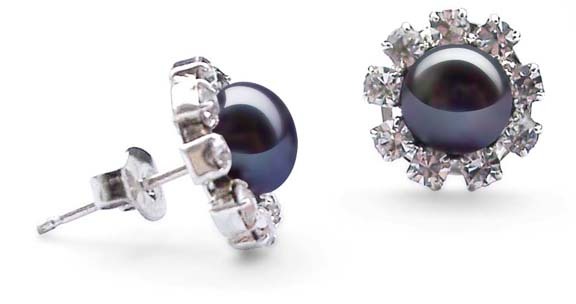 This pair of pearl earrings features genuine freshwater pearls in button shape that are approximately 7-7.5mm each and with 9 round shaped Austrian crystals around them. 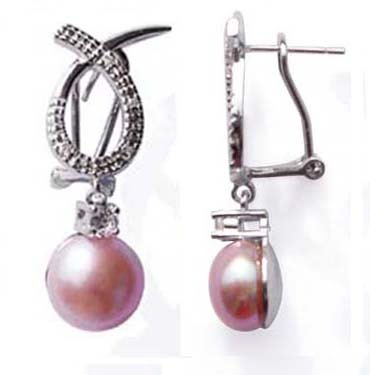 The pearls are genuine, freshwater cultured pearls with high luster, in very round shape in the front and relatively flat at the back side. 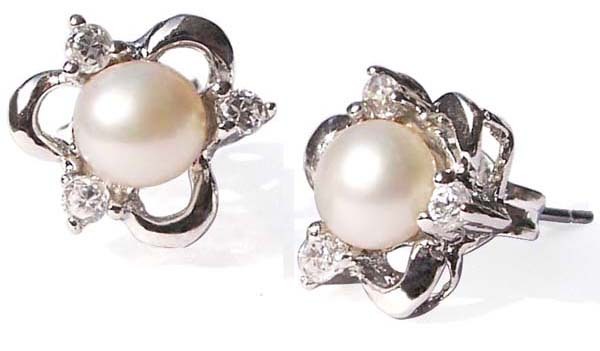 The setting is base metal with gold overlay and the ear backs are sterling silver. 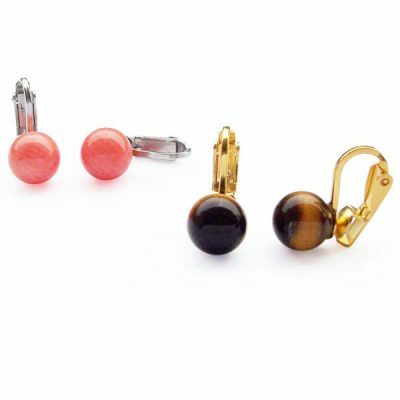 Earrings measure a little more than 1/2″ in diameter. 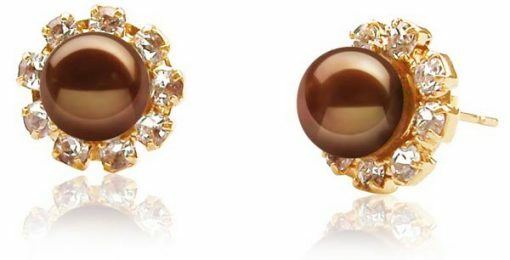 This pair of gorgeous earrings will definitely draw attention and sparkle on your ears! 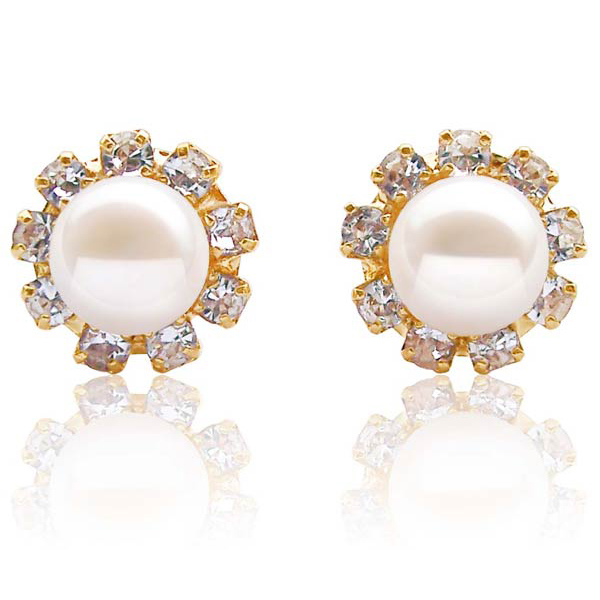 They will be a beautiful accent to your wardrobe with your formal dresses and suites.